The Speed 100 has been developed for the martial artist who loves fast work. Fast combinations, pad training and so on. The most unique thing about these kickboxing gloves is the IMF foam padding. It consists of one piece of fingertips up to the end of the wrist.The padding from one piece provides a lot of extra comfort, the wrist gets extra support and protection. The total glove ensures a lovely fit and protects the hands to the limit. The PU material is of high quality and has a striking design. The elastic Velcro closure provides extra comfort and a good secure closure and the perfect fit. These (kick) boxing gloves are suitable for beginners and advanced. For which martial artist are the Adidas Speed 100 (Kick)Boxing gloves suitable? The glove is suitable for amateurs who want top quality with the latest technologies. 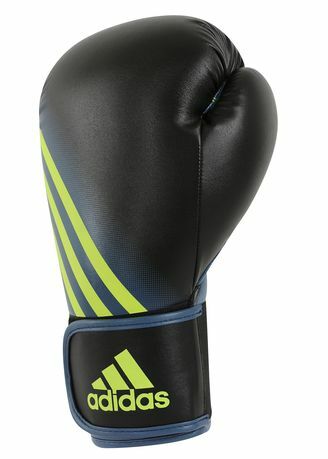 These Adidas gloves are suitable for thai/kickboxing and original boxing.